In Europe's five biggest markets —the U.K., Germany, France, Italy, and Spain —iPhone growth varied widely, for instance rising 5.5 percent in the U.K. but only 0.1 percent in Italy, Kantar said. Android's share meanwhile took substantial hits in the same regions, particularly in Germany and the U.K., which saw declines of 6.2 and 6.1 percent respectively. "Apple iOS returned to growth across all of Europe's 'big five' markets, as it recorded its first year-on-year gain in France since February 2015," wrote Kantar research chief Carolina Milanesi. Looking outward, iPhone share was up 9.1 percent in Australia, 7.3 percent in China, and 2.7 percent in Japan. In the U.S. however the device dipped 2.3 percent to a 30.5 percent share. Kantar noted that on top of Samsung and LG growing their shares in the region, iPhone sales are also likely beginning to level off, since the country's initial demand was extremely strong. Samsung's advance is said to be linked to the Galaxy S6 doing better in the U.S. than some other regions, while LG's may be connected to the impact of newer data plans on mid-tier phones. Together, the two companies are said to account for 78 percent of U.S. Android sales. 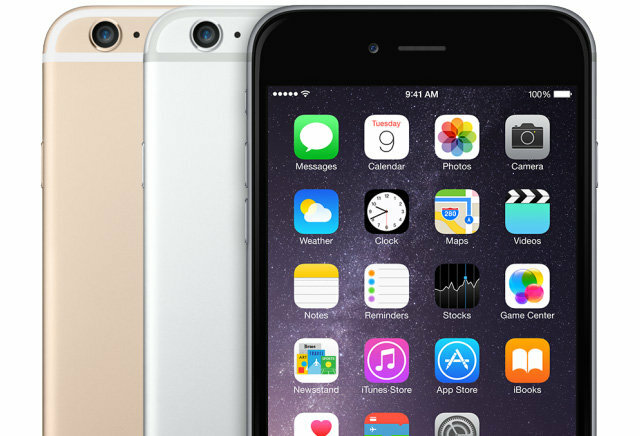 The high price of iPhones is thought to be deterring many American shoppers. According to a Kantar survey, 43 percent of American Android buyers mentioned a good price as the main attraction. In Europe, conversely, Android buyers cited screen size as the biggest draw. People opting for an iPhone, though, are said to consider a wider variety of factors such as materials, reliability, and durability. Apple's marketshare could surge again within the next month or two, when it's expected to unveil the so-called "iPhone 6s" and "6s Plus."